OK. HERE IS THE RIP FROM THE NEW LP. SORRY TO SAY IT WAS FAR FROM MINT, BUT IT WAS IN BETTER SHAPE THAN THE FIRST LP. I LEFT A LITTLE BIT OF THE NOISE BECAUSE I KNEW IF I STARTED EDITING TOO MUCH THE SOUND WOULD BE RIGHT BACK TO AS BAD AS THE FIRST FILE. I STILL HAVE THE WAV FILES IF ANYONE IS INTERESTED, AND THINKS THEY CAN EDIT BETTER THAN I DID. YOU'RE WELCOME TO TRY. 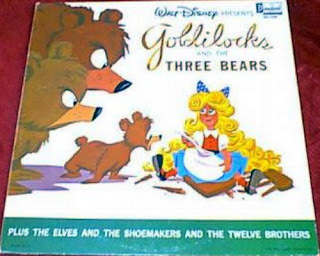 Heh, my late mother had this LP herself downstairs in the basement, and it's in near-mint condition! Awesome. Who has it now? If you can get it then hold onto it. There's a bunch of them floating around now, but who knows in a few years. Fantastic posts!!! Thanks so much for sharing these!!! Been waiting for this one for a long time. Thank you. I have "The Three Little Pigs" LP, and it's in stone mint condition. 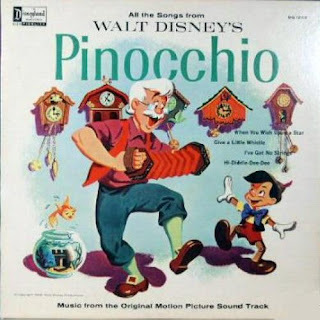 I do also have "Pinocchio" LP if I will be sending you a link soon. I can't wait for the Jungle Book record that you have posted. Will it be the story? It is a Story & Song record yes, but not a Read Along version like the 7 inch See, Hear, Read sets. Dave, when will you be posting this? I have been wanting this one for awhile now! Thanks alot. When will i be posting what? 3 Little Pigs or Jungle Book. If you mean 3 Little Pigs it is already posted. If you mean Jungle Book I am not sure. Hopefully later this week sometime I can get back on track. Yes, I was talking about The Jungle Book. Ok I will just keep checking back. Thanks alot. Thank you so much for the Jungle Book! You're welcome. Thanks to hanutdmansn that I was able to get it out so quickly. Glad to see I'm not the only one with these albums. I personally don't have as big a collection of kiddie records as others here might (most of the ones I had as a tyke are already rotting in some landfill I think). I still have that LP I mentioned before, and an turntable hooked to my PC otherwise, but just don't have the strength to fiddle around with recording it unless I feel the need to, and even then, I can get very uber-master at how to basically make them sound like CD-quality nutjobs when it's all said and done. I just found your website, thanks a lot for uploading all this! 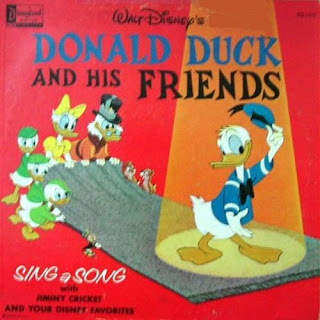 Unfortunately the link to the last record (Donald Duck and friends) is broken, can I still get it somewhere? @hat do you mean by broken? I ask because I just tried it, and it downloaded fine for me. 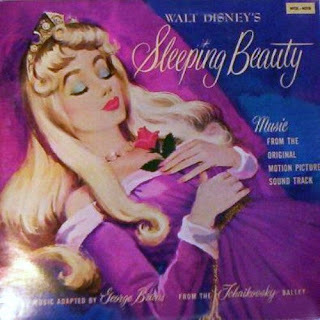 Dave, since you've posted the 1959 LP soundtrack to "Sleeping Beauty", I just forgot to say that last Tuesday was the release of the Platinum Edition of "Sleeping Beauty" on both DVD and Blu-Ray. I just bought the DVD and looks great. In honor of its Platinum Edition release, I will present to you a CD released on Walt Disney Records back in 1996 is the digitally remastered soundtrack of "Sleeping Beauty". 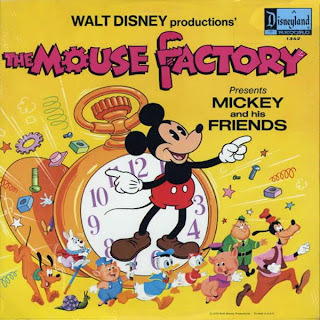 It is a great album, but it's got all the original musical scores and lots of music that has never been released on CD. As I should say, this 1996 remastered soundtrack is a ton better than the original 1959 and the 1964 Disneyland LP release as well as the 1970's Buena Vista stereo version. 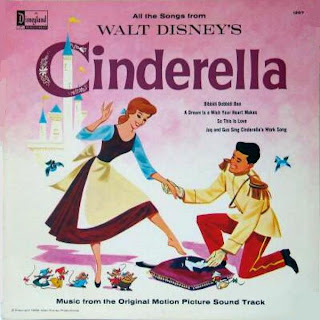 Walt Disney Records did an excellent job adding some original George Bruns score to the soundtrack. This CD is also available on iTunes, but the CD is out of print, if you want to share this album, here is the following links. I will do some more stuff from my Disney CD collection with more of the digitally remastered soundtracks to "Bambi", "Cinderella", "Snow White", "Lady and the Tramp", "Peter Pan", "Dumbo", "Alice In Wonderland" and "Pinocchio" very soon. I will also be working on the 1957 "Fantasia" soundtrack LP in weeks to come. Stay tuned! Do you have a rip of your Story of the Gnome-Mobile" (ST-3946) you can share? Thanks.